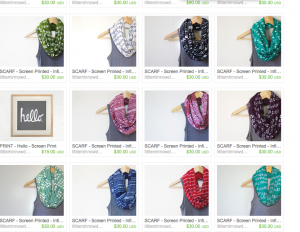 One of my best selling items last year was Little Minnow Designs’ infinity loop scarves. When I found these, I was convinced they’d sell like hotcakes — what’s not to love?!? But, strangely enough, a whole month went by without selling a single one, and I was starting to wonder how I could have so completely miscalculated things. But then one day I sold 4 in a few hours and then that was it — they walked out the store. 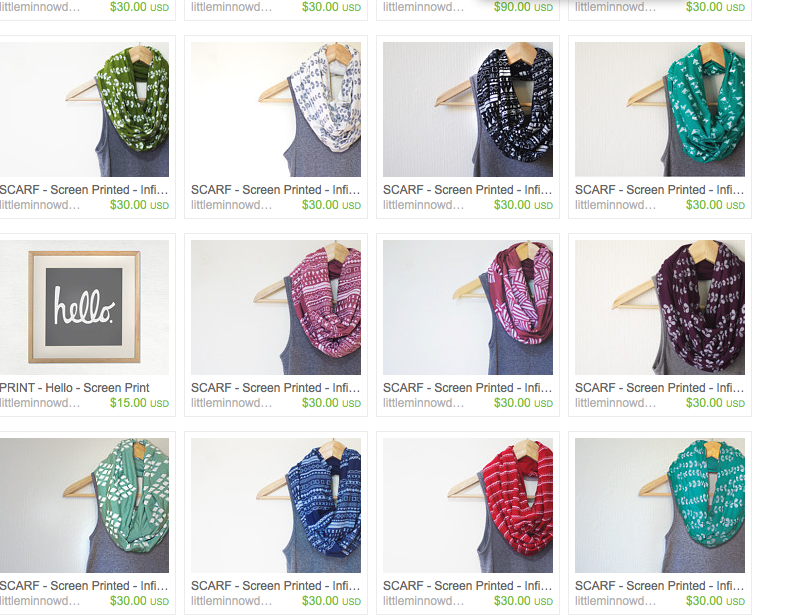 So, as I am starting my buying for the summer of 2012, I immediately went to check out what these crafty gals have cooking, and I am both super excited and super anxious — because now they have even more amazing prints, and I will have a really hard time narrowing down my selection. The good thing is I know these sold last year, so I have a feeling the new beautiful prints will have a repeat buyer appeal, as well as enamor new customers. It’s in the mid-sixties outside — and it’s February! I might have to open early this year— a little different from last year, when a snowstorm blew threw on opening day, Memorial Day.